RIM Continues Trip Around the World with Singapore Launch | BlackBerry Blast! It looks like RIM is continuing their trip around the world by landing most recently in Singapore. RIM announced today the launch of the BlackBerry wireless e-mail platform in Singapore. The BlackBerry wireless platform allows StarHub's corporate users to manage their corporate email, data and Personal Information Management (PIM) tools through the use of a Java-based BlackBerry Wireless Handheld� with integrated email, phone, SMS, web browser and organizer applications on the go. 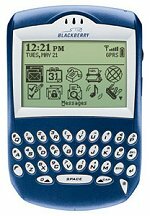 The BlackBerry 6720� handheld operates on StarHub's robust GSM/GPRS network. The highly secure mobile email and data solution supports Microsoft� Exchange and IBM Lotus� Domino� environments allowing easy integration with the user's corporate email address and mailbox. Emails and calendar appointments are automatically "pushed" to and sent from the industry-proven handheld while they're out of the office. The handheld features a patented, built-in keyboard that makes it extremely easy to type using two thumbs. The BlackBerry handheld is an indispensable communications tool for busy executives. "We are very pleased to deliver the BlackBerry wireless data and voice platform to corporate customers in Singapore on StarHub's advanced and robust GSM/GPRS network with extensive roaming capabilities," said Mr. Jim Balsillie, Chairman and Co-CEO at Research In Motion. "BlackBerry has become the leading wireless platform for corporate and government environments through its ability to address the needs of both end users and IT departments. BlackBerry provides an end-to-end solution that features ease of use, integration with existing data systems, end-to-end security and a push-based architecture."